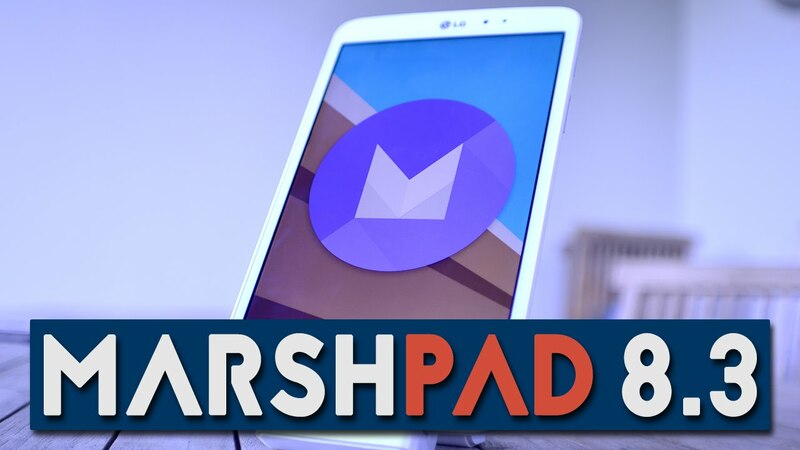 Update your LG G Pad 8.3 to Android Marshmallow by Flashing any of these Custom ROMs, enjoy the latest Android software on your device with amazing and useful features. If you want to run Marshmallow on your LG Pad you can only have it by Flashing Custom ROM because you won’t be receiving official update from LG. These ROMs are stable and AOSP based and there are no bugs. To flash a custom ROM you will need a Custom recovery like TWRP, CWM and you will need to root your device for this. By default Android 3e recovery comes with all Android Devices but for Custom ROMs, custom recovery is must. Now if you’re willing to flash Marshmallow ROMs on your device follow this guide. This guide is only for LG G Pad 8.3, Do Not try this tutorial on any other device or else you will brick your device. Also, if something during the installation process goes wrong, nor us (droidopinions) neither company will take responsibility, so do it on your own risk. Follow the instructions carefully to avoid issues and safely flash the ROM. * Root your LG and install a custom recovery CWM or TWRP. * Flashing new Rom will erase your data on device so create a Backup of all your important data like Apps, Texts, Contacts, photos and other multimedia files. * Make sure your device has enough charging, at least 70% to avoid power issues during flashing. * Enable USB debugging mode in Settings > developers options, if developers options are disabled enable them in settings under about phone option tap build number for seven times to Enable developers options and then Enable USB debugging mode. * Download and install LG USB drivers on your PC. 1. Download the Rom file of your choice and Gapps from the above mentioned links then connect your device with PC using data cable. 2. Transfer the files to the SD card of your device then unplug it and turn it off. 3. Now boot into recovery mode by pressing and holding volume down button plus power button, release them when LG logo appears and then again press power button and volume up button together. You can use also Quick boot from playstore if you have rooted your device. 4. In recovery menu first of all it is recommended to backup your current ROM by performing Nandroid backup . 5. Now wipe all system data, in CWM tap wipe data/factory reset option and in TWRP recovery tap Wipe, select system data, cache, Dalvik Cache and swipe to wipe. In CWM also clear cache partition and Dalvik cache in advanced option. 6. Now to install ROM file in CWM Tap install zip followed by choose zip from sdcard then locate and select Rom zip file for flashing. In TWRP, tap install, navigate to The ROM file and swipe to Flash it. 7. When Rom is flashed go back again and just like that flash Gapps zip file. 8. Now you’re done with Flashing, go back to the main menu and tap Reboot option. Your Device will reboot and it may take a bit long for first time so don’t panic and enjoy Marshmallow on LG G Pad 8.3, facing any issues feel free to let us know, use comment box, Thanks.